The New York Times bestseller, now available in paperback—the riveting and little-known story of a group of female members of the French resistance who were deported together to Auschwitz, a remarkable number of whom survived. 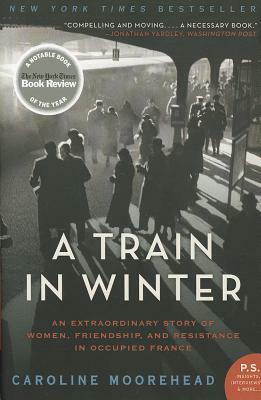 Caroline Moorehead is the New York Times bestselling author of Village of Secrets: Defying the Nazis in Vichy France; A Train in Winter: An Extraordinary Story of Women, Friendship, and Resistance in Occupied France; and Human Cargo: A Journey Among Refugees, which was a finalist for the National Book Critics Circle Award. An acclaimed biographer, Moorehead has also written for the New York Review of Books, the Guardian, the Times, and the Independent. She lives in London and Italy. — The Jewish Journal, "Best Books of 2011"